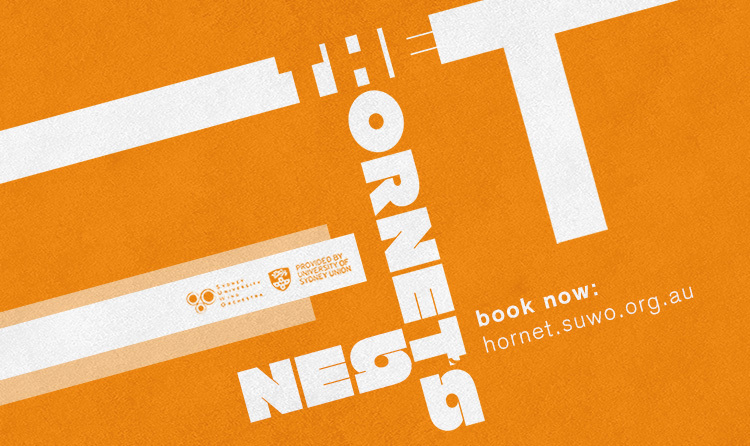 This October 31 Sydney University Wind Orchestra will proudly present The Hornet’s Nest. The Hornet’s Nest is sure to be a truly unique concert. Something new to SUWO. Indeed something new to wind band music in Australia. We’re presenting two huge Australian premieres and featuring a spectacular quartet of Sydney’s finest jazz musicians in an exciting jazz-styled contemporary concert exploring the diverse colours and techniques of the symphonic wind orchestra. Our concert program includes music by some of the wind band’s most prolific composers such as John Mackey and Roger Cichy along with brand-new and remarkably unique music by composers such as Nathan Daughtrey and Nathan Tanoyue. Along with a stellar jazz quartet we’re also incredibly lucky to be performing Ney Rosauro’s wildly popular Marimba Concerto featuring SUWO percussion section leader and Splash Percussion’s director James Guest. The Hornet’s Nest is by far SUWO’s most unique and exciting concert yet. Tickets for this concert are likely to sell out so to secure your seat book online now.